Joseph & Jesse Siddons is a well established Iron and Steel foundry based in West Bromwich. Our flexible production methods enable us to produce a wide range of castings from pumps to compressors and clutch housings to filter casings. 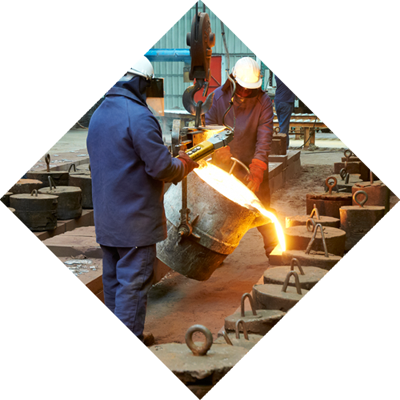 Our stable financial base and continued investment in modern manufacturing technology enable us to offer long term supply continuity and keep us at the forefront in terms of service, quality, speed and flexibility of castings supply. We have the facilities and knowledge to meet the high level technical requirements and service demanded by customers. J&J Siddons is well placed to supply UK and European engineering companies with highly cored, repeat batch Grey, SG and Steel castings. The current production facilities have the capacity to produce 2500 tonnes per year.